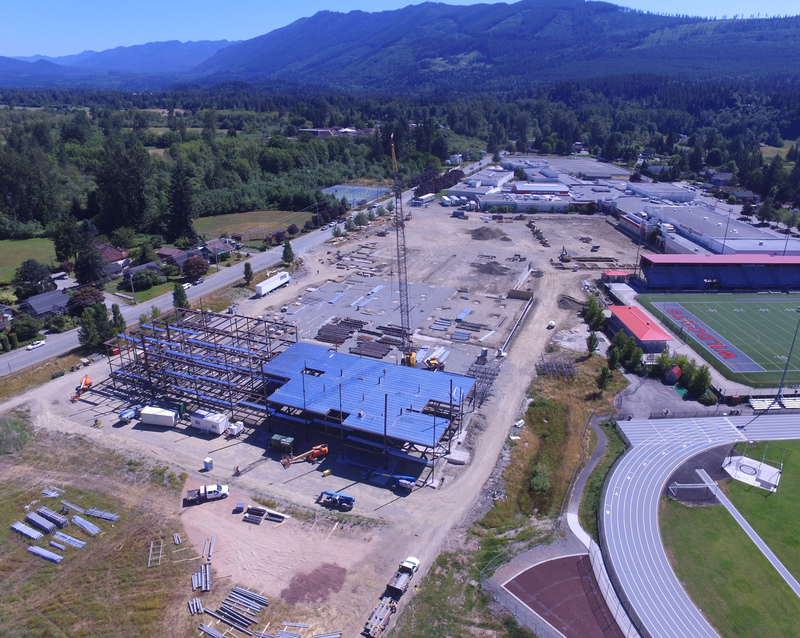 Mount Si High School's Steel Framework is Rising! Taking full advantage of the summer weather, General Contractor Spee West has begun installing the steel structural framework for the new high school. The structural steel installation for Area A (see below) is nearing completion, with the same work following for Area B. At the same time, the steel fabrication process is underway for Area C. The Mount Si construction project remains on schedule. Read the July 2017 Status Report for more photos and details from the Project Manager. 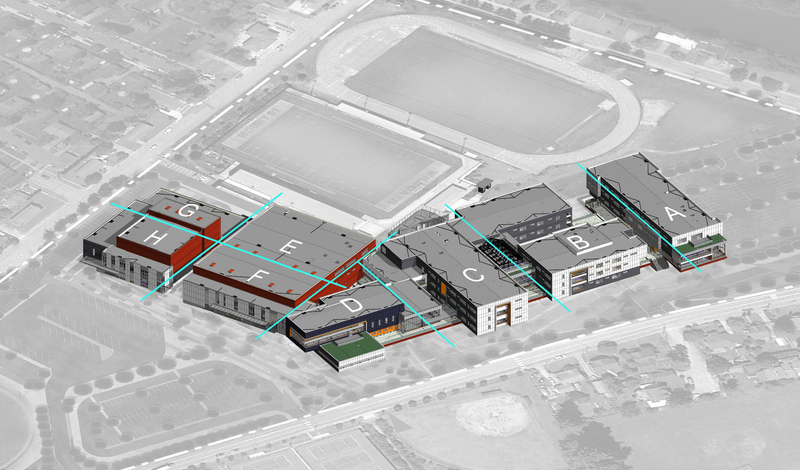 On July 18, the District solicited bids for the Snoqualmie Elementary School (SES) gymnasium expansion project. Out of the three general contractors who had submitted bids, the District awarded the project to the lowest responsible bidder: Kassel Construction. The Redmond-based company will be starting soon with an estimated target for completion by the end of December 2017.